Neglect, or lack of maintenance, is common with HVAC systems and many home buyers have concerns that are well founded. Many homeowners and renters are unaware that the furnace and AC need to be cleaned and serviced periodically by a qualified HVAC contractor. Not having service can result in units that wear out prematurely, units that use to much fuel, and units that can harm people in the home. Units not serviced periodically can cost twice as much in repairs over a 10 year period. The most common units in this area are forced air units. As the name states, they operate by forcing air over parts of the unit to either heat or cool the home. When air doesn’t flow properly these units can fail. 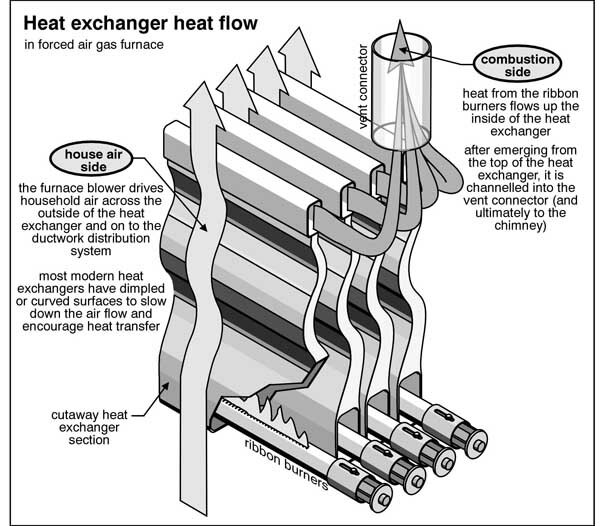 In a gas furnace, forced air is funneled around a heat exchange which is heated by gas flames. 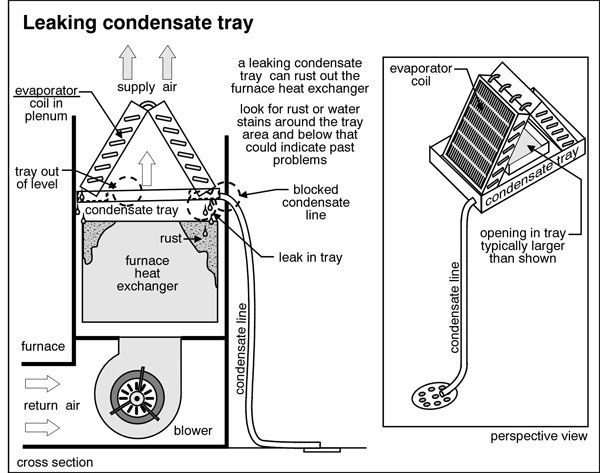 If the heat exchange overheats which is usually caused by poor air flow, dripping water from the evaporator coils can cause the exchange to crack or separate at the seams. This can cause possible exhaust gas leaks to enter the home. The most common AC/Heat defect I find in homes is a dirty air filter and dirty coils. 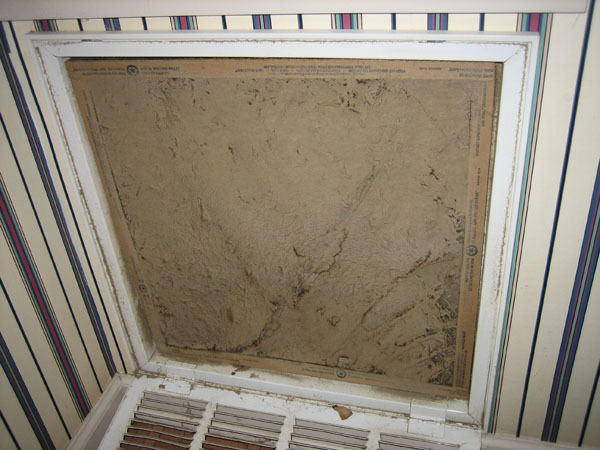 A dirty filter can cut airflow by 50%. 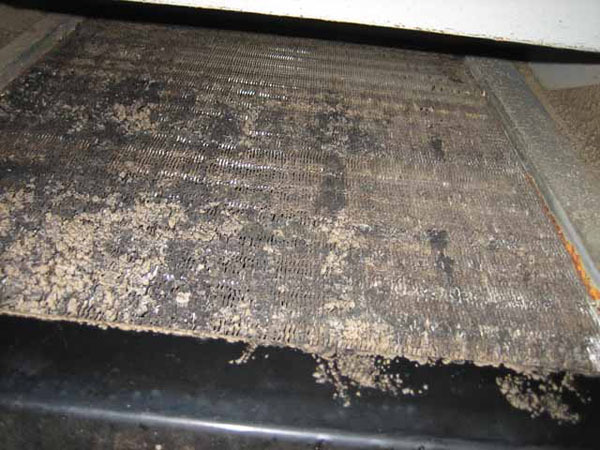 Dirty coils in the air handler can reduce airflow by 10-15 %. 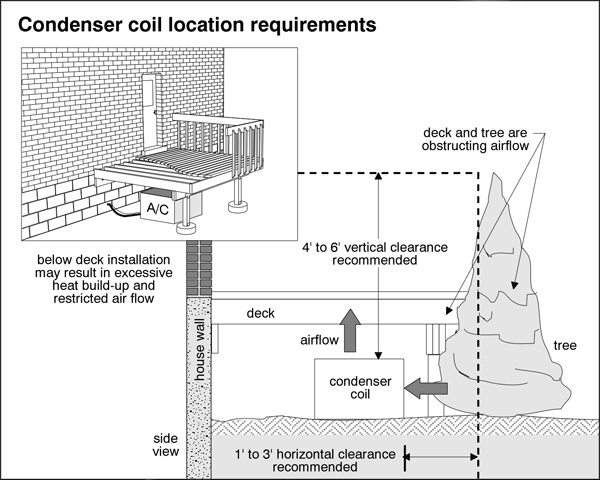 Condensers (outside unit) usually bring air into the sides and out the top which can clog the coils with dirt and grass clippings or leaves. Some people plant trees or shrubs around the compressor to try and keep it cool. Blocking the condensing coils /compressor can restrict air flow causing unit to operate poorly. 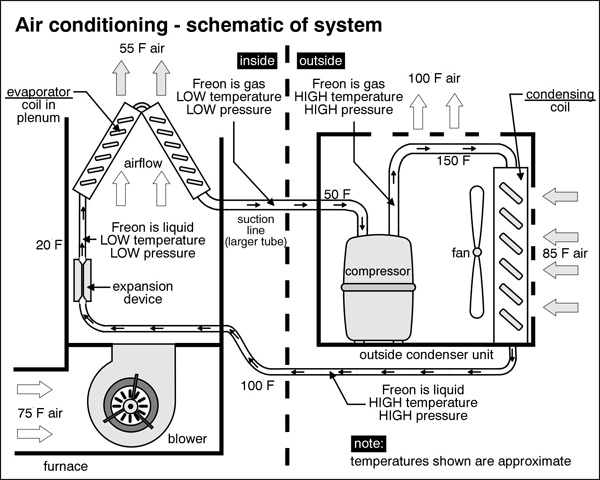 A clogged filter or evaporator coil can also restrict the change of Freon gas from liquid to gas which can damage the compressor. Having an AC/Heat system serviced periodically can ensure proper, efficient operation and could possibly extend the life of the unit beyond its expected life.